We have a proud record in Sporting events. In May 2017 our girls’ Football team won their Cumann na mBunscol competition. Our boys’ team narrowly lost out to neighbours Cloneygowan in a great final in May 2018. Our girls’ team were crowned champions once again after defeating Kilcormac/Broughall in an exciting match in October 2018. We enter athletics competitions also. In October 2017 our 6th Class boys came 2nd in the Offaly Cross Country Athletics which took place in Tullamore Harriers. We take part in FAI soccer competitions. In 2010 our girls won the 5 a-side Leinster Championship. They competed in the All-Ireland Final where they finished third. 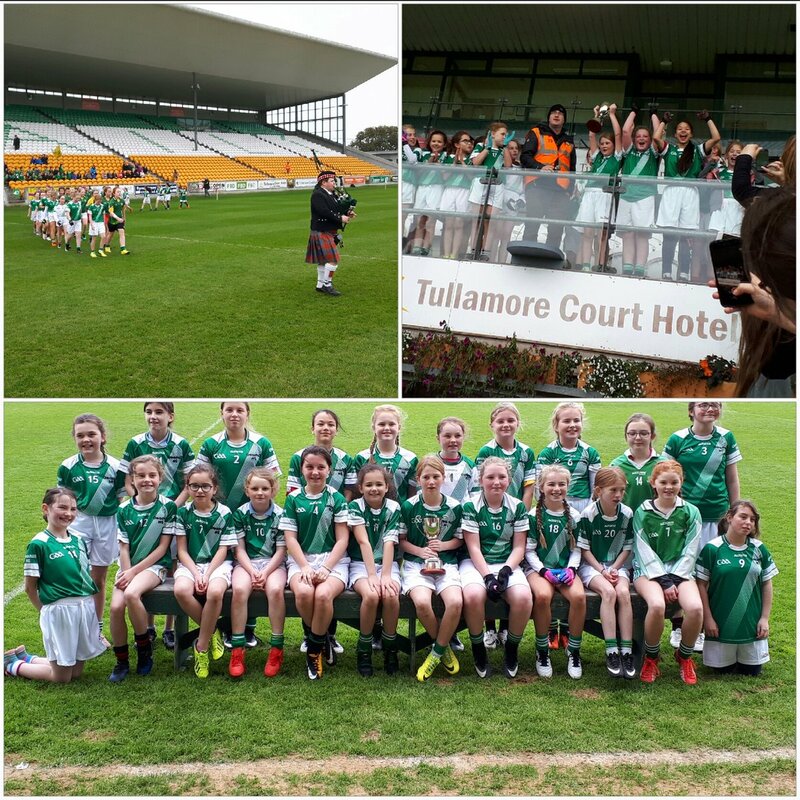 Our boys and girls reached the Offaly finals in 2018.